Relevance London went to their first Search LDN event on Monday night to celebrate the 6th birthday of the organisation with them and their 1,800 members. 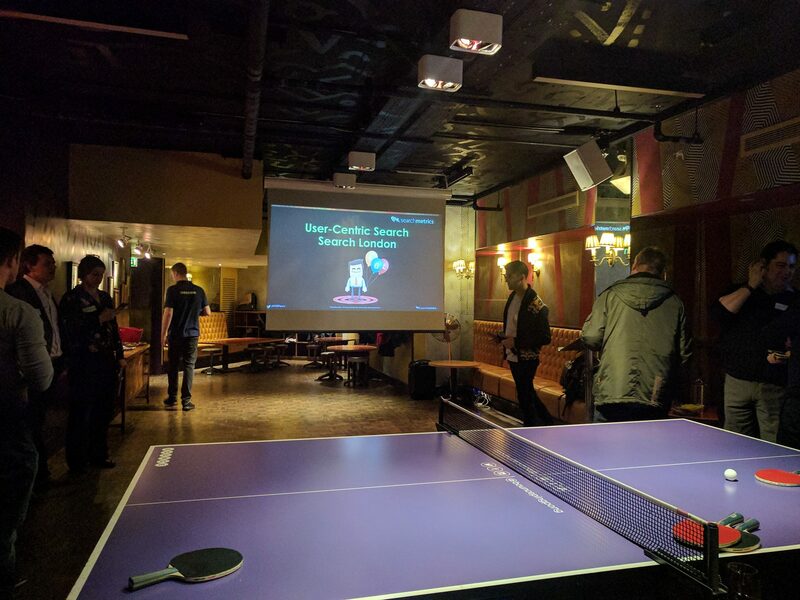 The event took place at London’s venue Bounce, the birthplace of pingpong. Th event involved delicious guacamole, competitive table tennis and fantastic talks. From Searchmetrics, headline sponsors of Search LDN’s birthday party, the Director of Strategic Partnerships, Shyam Dattani, spoke about user-centric search, emphasising the importance of putting the user of Google first when considering SEO. Aleyda Solis, International SEO Consultant and Founder of Orainti followed with an in-depth look at the “Do’s & Don’ts” for HTTP to HTTPS migration. Covering the necessary steps before and after the migration, Aleya’s slides can be found here. Finally, former Google Search Engineer and Product Manager Pierre Farr talked about the significance of Google’s mobile-first index, the practical consequences of this shift and the measures to take to “go mobile, for real this time”. The London Relevance team wish to thank Search LDN and its organisers for a fantastic evening of SEO talks and great company. Relevance London wishes Search LDN a very Happy 6th Birthday and looks forward to the next event! For more information about SEO, search and how Relevance’s boutique digital marketing expertise can help out your company, visit our website.